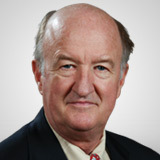 Mark Skousen has launched a new advisory service, Private Equity Trader, focused on stocks within the alternative asset and venture capital space. Here, he explains the new service and highlights a favorite stock in the sector. Private equity has replaced hedge funds as the hottest way to make money and we’re making the switch to take full advantage of this. Private equity can be called many things: alternative asset managers, venture capitalists, or angel investors. They are a group of investors that invest in debt and securities not publicly traded on a stock exchange. They finance private companies, which need funds to expand, create new products, or restructure the companies’ operations, management, or ownership. Private equity firms engage in LBOs, or they may invest in REITs, corporate bond funds, or buy stakes in emerging high tech firms. Most deals are in illiquid investments and require investors to wait years before their investment pays off. And, boy, do they pay off, beating the market handily in the past seven to eight years (though with greater volatility). Until recently, private equity firms were private themselves. But during the past ten years, quite a few private equity firms have gone public. Our favorite is Blackstone Group LP (BX), run by Stephen Schwarzman in New York. Second-quarter earnings more than doubled, as the company continued to reap big gains by selling assets from its private-equity business into the rising stock market. The New York firm reported second-quarter profit of $517 million, or 85 cents a share, up from $211 million, or 36 cents a share, in the same period last year. BX also declared a quarterly distribution of $0.55 per common unit to record holders of common units at the close of business on July 28, 2014. This distribution will be paid on August 4, 2014.